Parkfield Archers and it’s junior club, Parkfield Hotshots, is a small, relaxed and friendly club in the lovely Cambridgeshire village of Wimblington approx 2 miles from the town of March, in Cambridgeshire. We are proud to be associated with The Parkfield Sports Club, Wimblington, which provides us with great outdoor facilities and an excellent indoor ‘apres archery’ social venue. We have all styles of bow being shot at club and can offer coaching, advice and assistance in all aspects of archery from beginner to advanced skill levels. The club is fully set up to cater for all ages and abilities with due consideration to disabled access at our regular venues. 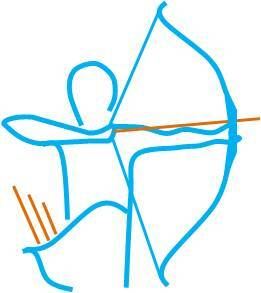 The club have three established archery coaches, all of whom have enhanced DBS and run beginner courses throughout the year, mainly in the summer, please see the ‘Interested in Archery’ page. We welcome any individual or family enquiries in person at any of our sessions, via our facebook page or by email. We are more than happy for schools, clubs, firms etc to make contact to arrange archery sessions for a bit of fun or challenge. the club shoots three times a week outdoors at The Parkfield Sports Club, in Wimblington, near March, Cambs. for one weekday evening, we transfer to indoor shooting at the Royal British Legion Club in the nearby village of Manea and continue with our popular Sunday morning outdoor shoot at The Parkfield. The outdoor sessions are always on a ‘weather permitting’ basis, but we have rarely had to cancel a meeting – we are a hardy bunch!